I'm talking about nails today. 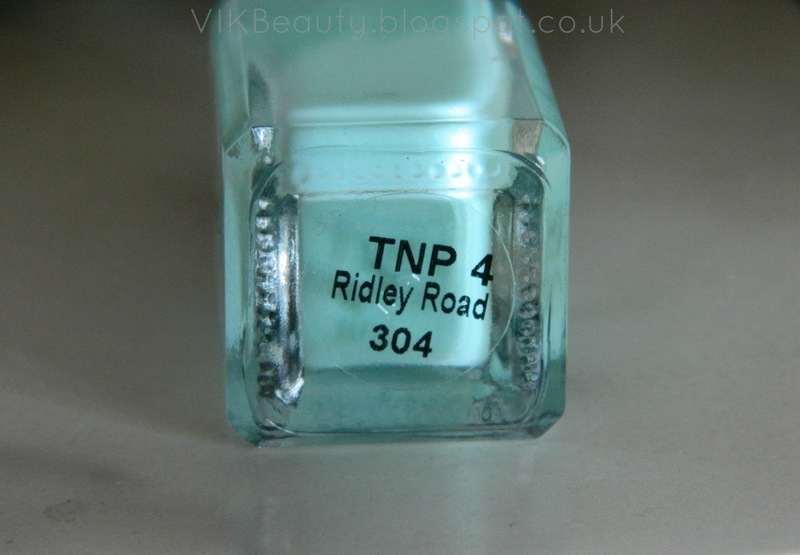 Some of my regular readers will know that I have reviewed a number of textured nail polishes on my blog. Well, I have another one to show you. This time it's from Barry M and called "Ridley Road" (*). It is a lovely minty pale green colour which is definitely in this spring and it has a gritty texture. With textured nail polishes, you either like them or you don't. I do like them although they can be a pain to take off. If you have a habit of getting bubbles on your nails when you apply the polish, this would be a good choice for you. You get texture without even trying. The polish applies on well and dries with the girtty matte finish. I used two coats in the picture above. I really do like the colour however, I found that this polish didn't last well on my nails. It literally started chipping after 2 days which was a shame. The polish retails at £3.99 for 10ml which wouldn't break the bank. Barry M are an affordable "drugstore" brand. You can pick these up from your local Superdrug, Boots or other shops that stock Barry M.
What do you think of the colour? Are you a fan of textured nail polishes? **Don't forget, you can follow me on instagram, twitter and facebook! This is a lovely shade for Spring. I'm still so undecided about textured nail polishes, I spend so much time trying to get my polish to go on smoothly and failing! But as you say, maybe that means this would be perfect for me, as then I have the excuse of saying it's supposed to be like that! Haha. Shame on me, it's the first time I see textured nail polish, but this one is gorgeous! I'll definitely look for some myself. Beautiful color! I am loving textured nail polishes! Oh that colour is beautiful! Oh my! Why haven't I tried the textured nails trend yet... I'm always late catching on to nail trends! I absolutely LOVE this colour too.